This online URL encoder/decoder tool gives you the smartest and fastest coding / decoding service for free! The online URL encoding / decoding tool is very useful for adding special characters to URL parameters, also known as coding percent. The process of encoding the URL involves changing non-attributable characters using % (percent sign) and two additional hexadecimal values. If you want to know the email campaign or the origin of the newsletter, you can use URL decoding. How to use this URL encoder / decoder online? 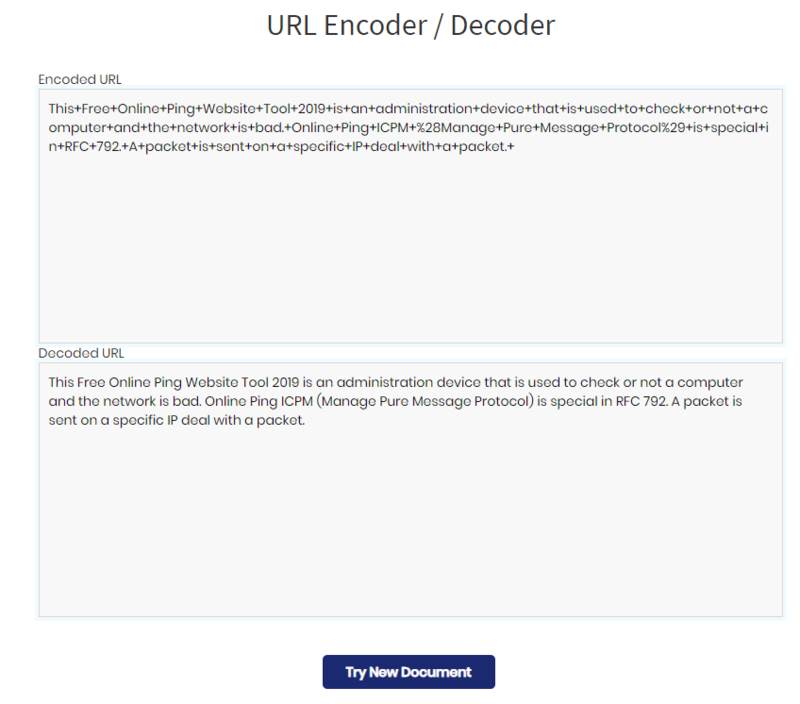 When you add a text string coding tool, the small URL decoder works in the space provided by the link https://freeseosolutions.com/url-encoder-decoder. Then, simply click on the "Encode" or "Decode" button and the results will be displayed immediately. URLs can only be transferred to the Internet using the ASCII character set. Since these URLs contain characters that are not part of the ASCII set, the URL must be converted to a useful ASCII format. URL encoding is used to replace insecure ASCII characters with a percent sign (%) followed by two hexadecimal digits. URL encoding replaces spaces with a plus sign (+) or %20. How does URL coding work? The online URL encoding or coding percent is a method to encode specific information in a Uniform Resource Identifier (URI) in specific circumstances. Although it is widely known as a URL encoded name, it is usually used for the main assembly of Uniform Resource Identifiers (URIs), which contain the same URL and the Uniform Resource Name (URI). Online URL encoding is also used to prepare data and send HTML form data to an HTTP request. All properties that can be changed are replaced with a percent sign (%) and a two-digit hexadecimal value, which indicates the nature of the corresponding ISO character.